We love to test out the latest gadgets, gismos and software; especially if the latter aims to improve children’s learning experiences. 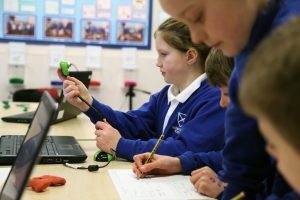 If you have some new tech that requires product testing or want a review, we’re more than happy to give it the once over with the help of some of the schools we work with. 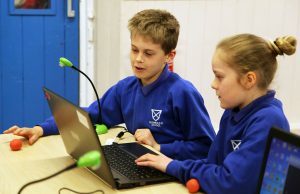 We have direct access to enthusiastic pupils and teachers who are more than happy to test things out. In addition to product testing we can also make marketing videos which can accompany any reviews that InspirEd and the school produce. Here is an example of a video we put together for HUE about their innovative animation software and camera and the accompanying review we wrote with the school. For a small fee InspirEd Workshops will design a workshop around your product which can then be delivered to a group of children in a classroom environment. Plus the school receives a few free products as a thank you so that they can continue using the equipment/software after the project has finished. While delivering the workshop InspirEd Workshops will gather review information and take professional photos of the pupils/staff using the product. We can also write a blog which can be used on your website. We will also ensure that all of the appropriate GDPR permissions are in place. For an additional fee InspirEd can produce a video documenting the product in use to use as a marketing tool. Our Managing Director has over 15 years experience creating videos for the retail and advertising sector so you’ll be in safe hands. Please contact us to discus things further.